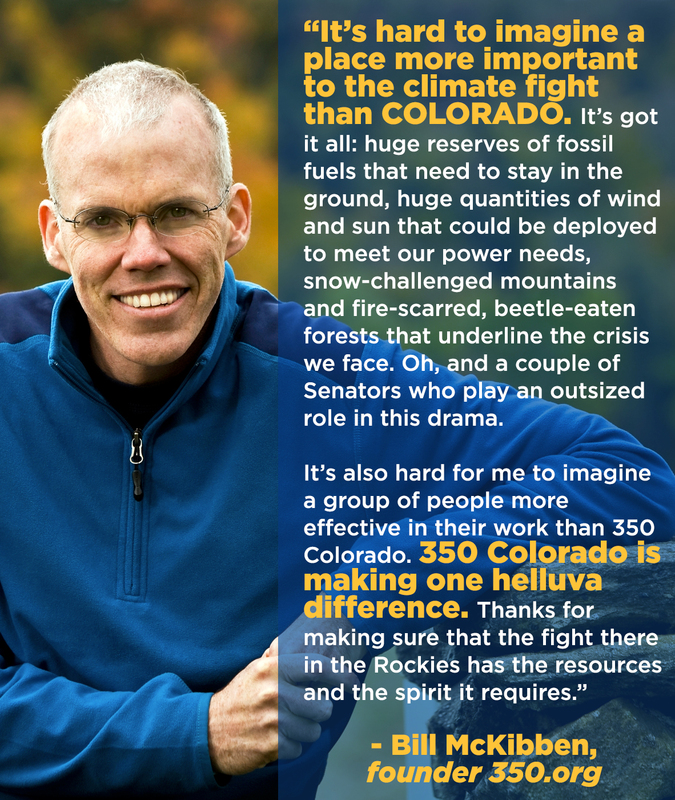 350.org’s Go Fossil Free campaign launched with Bill McKibben’s Do The Math Tour in 2012. It’s simple math: we can emit 565 more gigatons of carbon dioxideand stay below 2°C of warming — anything more than that risks catastrophe for life on earth. The only problem? Burning the fossil fuel that corporations now have in their reserves would result in emitting 2,795 gigatons of carbon dioxide — five times the safe amount. We’re calling on individuals, educational and religious institutions, governments, foundations, endowments, and other institutions that serve the public good to divest from fossil fuels and reinvest in solutions. Investors, organizations, banks and governments from all over the planet have pledged to Divest Invest with momentum building daily. Divesting from fossil fuels is grounded not only in a moral imperative, but also is financially prudent. Join over 850 organizations and 59,500 individuals in accelerating the sustainable energy transition. With over $6.2 trillion in combined assets already divested, we’re poised to make big impact. Get started by signing the Go Fossil Free: Divest-Invest Pledge below and visit our Divest Invest Resource Hub to learn more. And, if you are a Colorado Public Employees Retirement Association (PERA) member, join the Fossil Free PERA campaign, calling on our state pension fund to divest from fossil fuels and reinvest in a cleaner, renewable energy future. Are you a Colorado PERA member? Sign the Fossil Free PERA Petition and join our Fossil Free PERA Campaign. PERA has upwards of $780 million invested in over 100 oil, gas and coal companies. Recently, PERA increased its holdings in Extraction LLC, an oil and gas company that lost $500M in 2016 and is proposing some of the most controversial projects in Colorado, such as fracking in close proximity to the Bella Romero 4th-8th grade school in Greeley and on Boulder County Open Space lands. We don’t believe Colorado public money should be funding the climate crisis and endangering public health and safety. We also believe that PERA should be addressing the investment risks around the carbon bubble and stranded assets, fossil fuel reserves that will become unburnable in the wake of global commitments to curb climate change and the shift to cleaner, renewable energy. We are encouraging PERA to call into question the ethical, financial and fiduciary concerns of fossil fuel investments and are calling on PERA to divest from fossil fuels, which will protect pensions and show bold leadership in investing in the future. YOU CAN SIGN THE FOSSIL FREE PERA PETITION HERE. Over 740 individuals, organizations and financial advisers in Colorado have signed the pledge to divest from fossil fuels and reinvest in a cleaner, renewable energy future. Join us in taking action by pledging to personally divest-invest. Make no new investments in oil, gas, and coal companies, especially the top 200 reserve owners. Sell investments in oil, gas, and coal companies, especially the top 200 reserve owners, within 3-5 years. Invest in a sustainable and equitable new renewable energy economy. In addition, I will bank with a financial institution that does not invest in fossil fuel companies or infrastructure and will strive to make personal choices in everyday life that reduce dependence on fossil fuels. Where I do not have direct control over the individual companies in my investments–such as in an employer 401K, mutual fund, or ETF–I pledge to invest in fossil free alternatives as soon as suitable options become available. I will call on my employer or fund manager and encourage them to provide such options. If I intend to engage in shareholder advocacy, I may retain a small share for that purpose. Want to learn more about fossil fuel divestment? Visit our Divest Invest Resource Hub.